This blog was started on a whim, and I only had the vaguest idea of what I wanted it to be. It was a weekend morning, and I had on FOX "News" for noise. It was something of a masochistic habit, but it inspired--out of frustration--a response: I'm going to start a blog! I quickly settled a basic idea, expressed in the banner at the top of the page: "Blogging from Las Vegas. A deliberate jumble of politics, news, soapbox, confessional and pure frivolity. Opinions skew left of center, not straight or narrow," and a portion that I've since deleted "progressing forward with help from my friends." That last bit wasn't deleted because it wasn't true, only because it made the motto too long. Anyway, that motto is why you'll often find nostalgic YouTube videos, right after a post of the latest governmental atrocity. You see, depending upon the news--or those elements of it that interest me--the blog can seem overly strident, even militant. When the tone starts to get harsh, I like to lighten it up a bit, and balance things out a little. I'm really generally a pretty laid-back guy, however the vibe on the blog might seem on a given day. I have strong opinions, but also a strong sense of humor and fun. The posts presented here are simply the things that interest me, and catch my attention. I never post a story just to "throw something up there." Every post contains something that resonates with me, even if it's an old Calgon commercial. In short (I know, too late) the purpose of this blog is to inform, entertain, and hopefully occasionally show you something you didn't already know about. But this is not The New York Times or even heaven forbid, FOX "News." I am not a journalist, and do not pretend to be. I am not the final word, and I may be flat-out wrong sometimes. But I have never written a post that was intentionally misleading. That's where you come in. If you catch me in a mistake, by all means, speak up! Use the comments section in the individual posts, or drop me a line. As long as this blog doesn't start attracting millions of readers (that would be cool), I'll try to answer every question, and respond to everybody. Thank you! 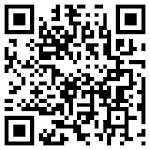 All site contents © Copyright James L. Greenlee, except those works previously copyrighted by others. All efforts will be made to properly attribute non-original content. 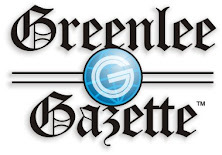 If your work has been improperly attributed in this space, or if you would like your work removed, please contact editor@greenleegazette.com.